Longtime skateboard artist Sean Cliver put together this staggering survey of over 1000 skateboard graphics from the last 30 years, creating an indispensable insiders' history as he did so. 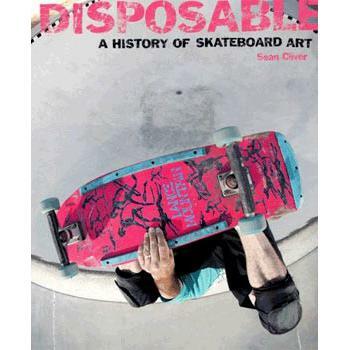 Alongside his own history, Sean has assembled a wealth of recollections and stories from prominent artists and skateboarders such as Tony Hawk, Barry McGee, Wes Humpston, Jim Phillips, Lance Mountain, Pushead, Ed Templeton, John Lucero, Jason Jessee, Steve Caballero, Jim Thiebaud, Jason Lee, Garry Davis, Tod Swank, Steve Rocco, Natas Kaupas, Jeff Grosso, Jim Muir, Craig Stecyk, Todd Bratrud, Neil Blender, Claus Grabke, Jeremy Klein, Bam Margera, John Gibson, Tommy Guerrero, Christian Hosoi, Jef Hartsel, Rob Roskopp, Steve Alba, and many others. The end result is a fascinating historical account of art in the skateboard subculture, as told by those directly involved with shaping its legendary creative face. Color.